The Safer Essex Roads Partnership (SERP) is encouraging all road users in Essex, Southend-on-Sea and Thurrock to make a New Year’s resolution that will help make a massive difference to the number of casualties on the area’s roads each year. SERP is using the season of goodwill to encourage drivers, riders, cyclists, pedestrians, horse riders and all other road users to use the pledge board on its website to commit to a small change which could really improve their own safety and the safety of other road users. Options on the pledge board include committing to never use a mobile phone while driving, never drink and drive, always wear a seat belt, to drive at an appropriate speed, to look out for vulnerable road users, lead by example, and be a considerate cyclist. 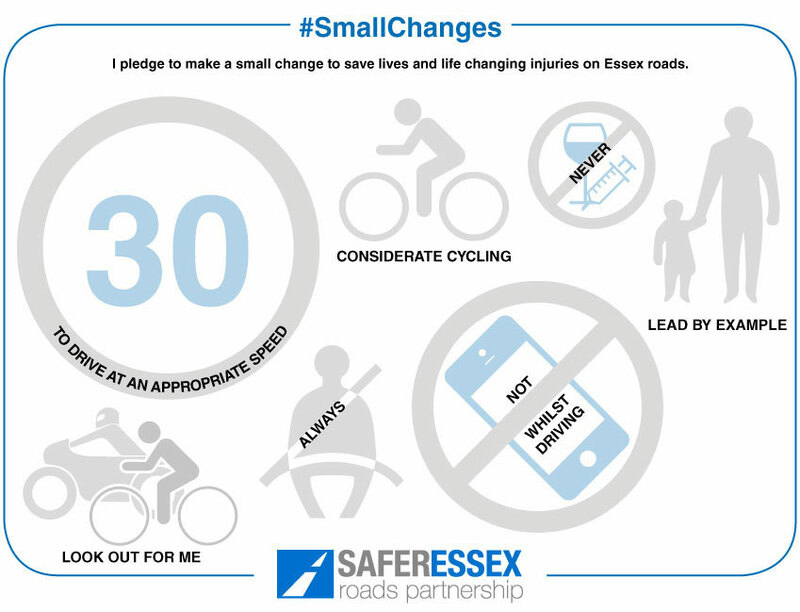 People can pledge to any one or all of these ‘small changes’, and can also help spread the message further by printing off the pledge board and taking it to work, or by sharing with friends on Facebook & Twitter using the #smallchanges tag. Nicola Foster, Chair of SERP, said: “If everyone makes a small change by pledging, it will collectively make a huge difference in reducing the numbers of people killed or seriously injured on Essex roads. “You may be pledging just to try something or to think about something but if it helps you think about how you use the road, or helps you concentrate on your driving, then it will make a difference.